PRESS HERE, MIX IT UP!, LET'S PLAY! and now SAY ZOOP! 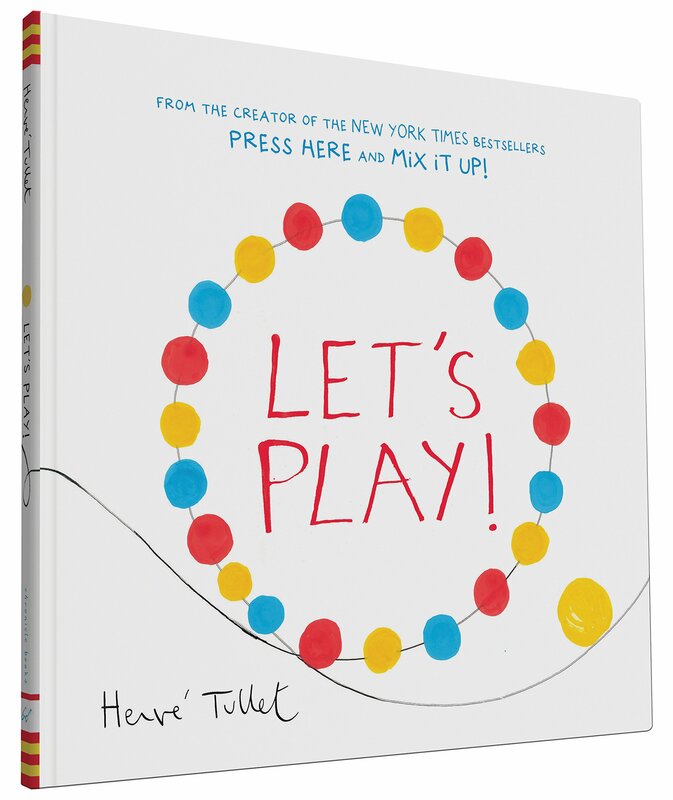 Collect all four interactive books from Hervé Tullet! It's only a yellow dot...but what a dot it is! Readers won't be able to resist this jaunty, adventurous dot, nor its invitation to play along. Thus begins a spectacular ride of color, motion, shape, and imagination, filled with the artistry and delight that we know and love so well from Press Here and Mix It Up! But on this journey, prepare to leap headlong into a completely new dimension: emotion. Connecting not only to the mind but also to the heart, this dot expresses an extraordinary sense of humor, fear, joy, and more as it pushes, lurches, wiggles, and slides its way through—and even off! —the pages of this glorious companion to Press Here and Mix It Up!